One of the best-known names in modern motorcycling has stepped forward to help Victory Motorcycles' efforts in the Isle of Man TT: racer and TV personality Guy Martin will take the place of injured rider William Dunlop in a move that could see Martin finally earning his first win at the iconic venue. Victory Motorcycles is competing in the TT Zero electric motorcycle race, making use of some of the technology acquired early this year in the Polaris buyout of Brammo. Although this is the first time for Victory Racing to compete in an event like this, the team is clearly targeting major success. 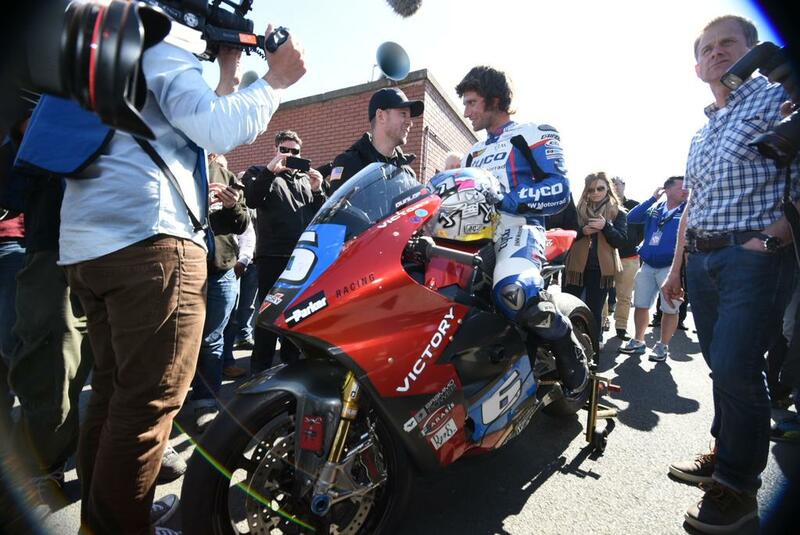 Acclaimed riders Lee Johnston and William Dunlop were drafted in to ride Victory's two electric motorcycles. Both riders turned in lap speeds well in excess of 100 mph during practices last week. However, Dunlop was injured in a crash during Superstock practice on Monday, breaking a rib and suffering severe bruising. As a result, he has withdrawn from all his IOMTT races, and was unable to ride in the Zero TT qualifying lap was also held Monday. Dunlop's crash took place at roughly midday. Less than three hours later, Guy Martin stepped forward to man the bike that Dunlop was supposed to have ridden for Victory. Needless to say, it presented a tremendous challenge to the Victory Racing team, who had already set the bike up to fit Dunlop's riding style and demands. Meanwhile, Martin had never before raced on an electric motorcycle. According to Victory External Relations Manager Robert Pandya, however, Martin managed to fit in surprisingly well. "He knew all about it," Pandya told BikerNewsOnline. "All the technology and the systems and the other things that are unique to racing an electric motorcycle. He had that. We're pretty excited about it." Amazingly, Martin's qualifying lap turned up an average speed of more than 104 mph, similar to the speed that Dunlop had delivered on a practice run last week. Martin told the media afterward that he was pretty happy. "It's fast," he said. "It's different. There are no gears, it just goes and keeps going and going. It's the weirdest, strangest thing... It handles a treat, it's so impressive. I'm not used to it (but) it's coming. It's happening." Victory Racing will have a few days and one more qualifying run to tweak the bike to Martin and his riding preferences. If the stars align, they could see Martin earning his first ever win at the IOMTT. Martin, 33, has competed at the Isle of Man 12 times, earning 15 different podium spots, but has never outright won any of his races. Many have speculated that he will retire from IOMTT racing after this year. The Zero TT race takes places Wednesday at 10:45 BST. 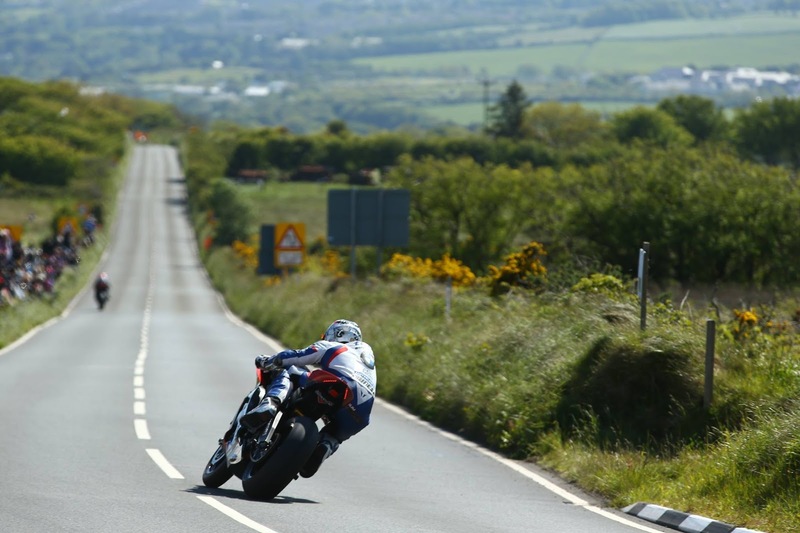 The Isle of Man Tourist Trophy is a series of road races held on the tiny Isle of Man, which sits in the Irish Sea, between Great Britain and Ireland. Run since 1907 it is famous in its uniqueness and danger. More than 140 riders have died since the races began, including Frenchman Frank Petricola, who was killed in an accident early last week.